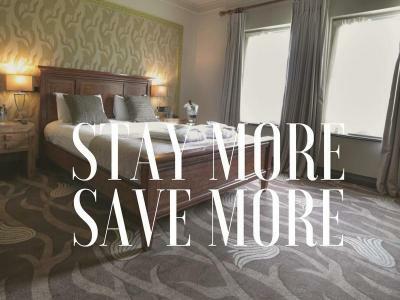 Book in advance or book for an extended period and you will receive huge savings on our standard rates. Perfect for making the money stretch that little bit further. If you are planning a stay of 3 or more days, we want to make sure you get a great deal. With this great rate you will receive a handy 10% discount. As always, complimentary full Irish breakfast, unlimited use of our Leisure Centre, Free WIFI and parking is included. Please note: This rate is non refundable and full payment will be taken at the time of booking.